The place has a vibe that is hard to explain: immediately after the arrival you feel comfortable and taken care of, especially thanks to the incredibly helpful Ali and the rest of the staff. You guys rock. They were amazingly helpful with everything, offered great tours to the West Bank, were totally down to earth and easy going. 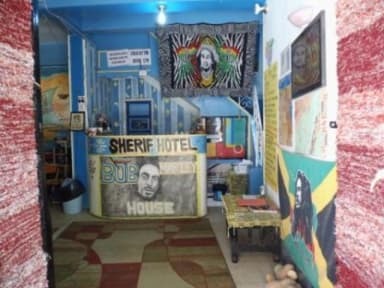 Imoor rant to know: one of their competitors named his hostel also "Bob Marley" because the original is so dope. So make sure you get the right one :) they pick u up! the staff was very helpful and caring. nice laid back atmosphere. i stayed 4 instead of the planned 2 nights.